Address: 397418 Voronezhskaya obl., Novokhopersky r-n., pos.Varvarino. 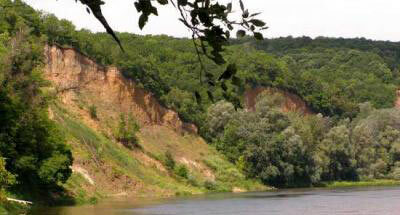 Zapovednik Khopersky, in the Eastern part of the Voronezh Region, was established in 1935. Its area is 16.2 thousand ha. 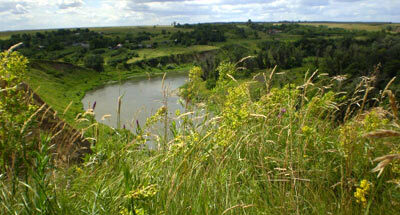 The Zapovednik is situated in south-eastern Oka-Don Lowland, in the Khoper River valley. The relief of right-bank upland part (16% of the Zapovednik area) is plateau, dissected by gullies and ravines; the left bank is an undulating above-floodplain terrace (10%). The bulk of Zapovednik (74%) are floodplain undulating valleys with a natural levee, channels and crescent lakes. There are many lakes. During the flood, about 80% of the territory is covered by water, which determines the pattern of the development of nature complexes in the floodplain. 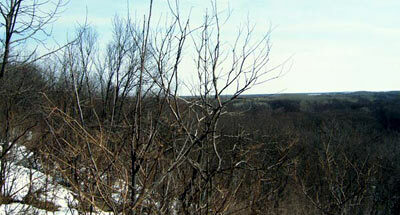 About 80% of the area is woodland. Floodplain and upland oak forests predominate (up to 10 types are distinguished), which mostly derived from coppice shoots 80-100 years old. Black alder forests, 70-90 years of age, are unique. Aspen forests, small stands of white poplar, black poplar, and elm occur. There are pine plantations (up to 100 years old). On the right bank steppe plots have remained. Large areas are occupied by meadows. The flora of vascular plants comprises 1019 species, including 109 aquatic species with some relicts, including Salvinia natans, caltrop, holly-leaved naiad. There are 50 mammals species. The mammal dwellers are the moose, wild boar, sika deer, which was acclimatized, wolf, fox, badger, marten. The beaver has been re-acclimatized. A characteristic dweller is the desman, which is listed in the Red Data Books of the IUCN and the Russian Federation. The rare birds include the white-tailed eagle, peregrine falcon, osprey. The golden eagle and imperial eagle and little bustard stop over on the flyway. The common fish species (37) are: the crucian carp, roach, darter, tench, pickerel. There occasionally occur the sterlet, undermouth, lampern. 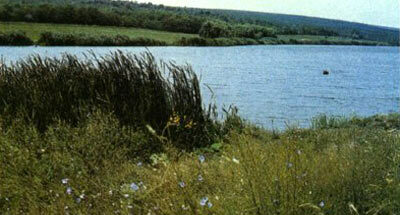 The acclimatized grass carp and silver carp have penetrated into the Zapovednik.